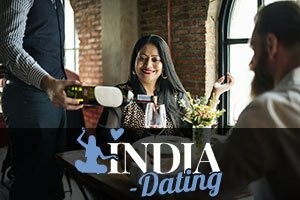 Although most users of online dating sites in India have honest intentions, there is still quite a bit of those who prey on the lonely and gullible for profit. Internet is full of scams and one can never be too careful. You don’t have to be rich to be targeted, and you definitely don’t have to be stupid. Scammers know all to well what they’re doing, and they know you’re searching for love, which can make you vulnerable and a perfect target. That’s why we’ve decided to go over some of the most frequently seen online dating scams in India, as it will be easier for you to spot a scammer the more you know about their scamming ways. While searching for a match, make sure you note any age differences between you and your potential date. Younger men are known to prey on middle-aged women because they think they’re richer and more vulnerable. In general, online scammers are known to target people older then themselves, and they’ll shower them with constant attention. Women who are in their 50s and 60s are rather popular with scammers, especially if they live alone. One of the best ways to make sure a scammer doesn’t profit from your loneliness and vulnerability is to never send any money to anyone. It’s your money they’re after, and if they don’t get it, you simply won’t hear from them again. The thing about scammers is that they can’t stay in one place for too long or they’ll be caught. They don’t have steady jobs, otherwise they wouldn’t be stealing other people’s money. And they very rarely have any roots. living near you, but are “currently away”. They’ll often claim they’ll return soon, and you’ll be able to meet in person and finally start to spend time together. But “as it often happens in life” something will come up out of the blue and they won’t be returning just yet, but they will need your money to deal with the predicament that’s keeping them from seeing you. Blurry and sketchy photos often give scammers away, that is if you know what to look for. Copy their profile photo and Google it. You might be surprised what you can find. Maybe they are already marked up as scammers or you might find something else illegitimate about them. If you do find something fishy or even evidence of them being scammers, you must report them to the site administrators. Save their photo and any links that you find. Report to the site, presenting all the evidence you’ve collected. The best way to protect yourself is to share your doubts with the people around you or with the site management. It’s natural to feel embarrassed and that’s exactly what the scammers are counting on. But they are not counting on you to expose them!